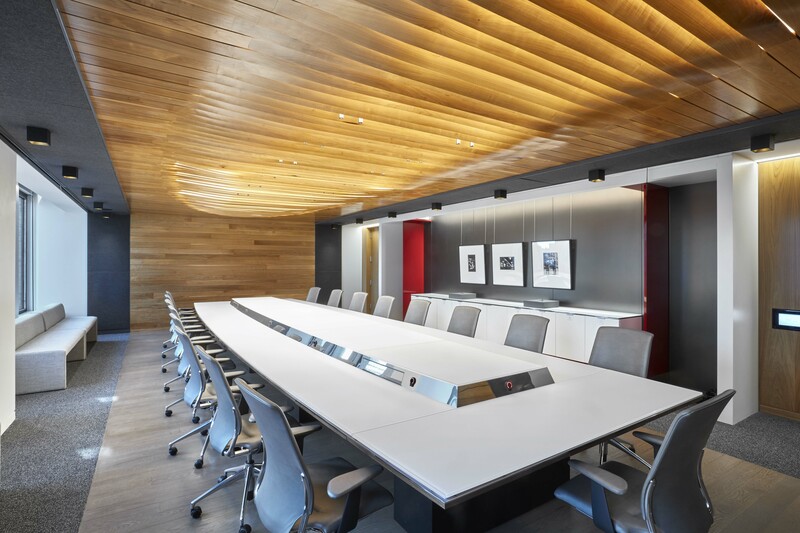 Paul Hastings will be providing an exclusive look into their beautifully designed workplace. There will only be 6 tickets on sale for this intimate tour! Don’t miss out on your chance to see this first hand LIVE working tour! Paul Hastings’ New York office is a collaboratory—an interactive space for sharing ideas and dreaming up new ones, for working across teams and firing up creativity. When the global law firm moved to the Met Life Building in 2016, they saw an opportunity to completely reimagine their workspace. They ran with it. Transparent glass replaces heavy walls and doors, letting light shine in. Corner offices are out, and corner meeting spaces are in—offering brainstorming teams some inspiring views. All individual offices were scaled down, so common areas could scale up, and younger lawyers and professional staff work in newsroom-style, open-plan seating. Collaborations spaces abound, from bar seating around espresso machines to comfy couches and booths. The office also features snazzy technology to power up innovation. Wi-Fi is ubiquitous, so innovators can work wherever their great ideas lead them. Digital screens throughout the space convey firm news and local updates. And an immersive telepresence room, video conferencing rooms, and video phones on every desk bring people face to face with far-flung colleagues.